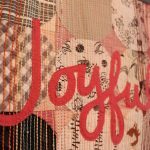 A while back I did a swap – even though I swore off on-line swaps years ago after several in a row where I didn’t receive anything in return, and also the anxiety-inducing fear that my recipient would hate what I made. Not my definition of fun. 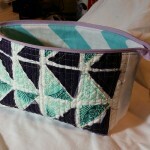 But the #OhCraft group had a bag swap, and I just couldn’t resist. 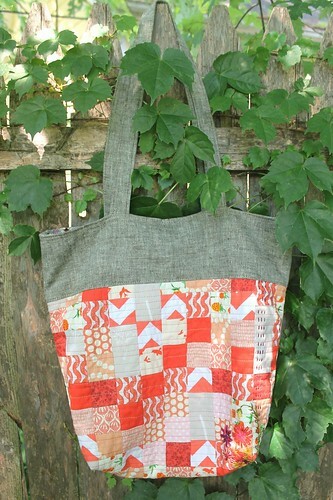 My partner made a collage with linen, coral and embroidery and requested the Caravan Tote by Noodelhead. I can do that! 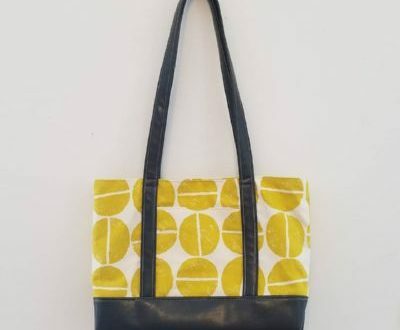 The pictures aren’t great, but this bag was really fun! 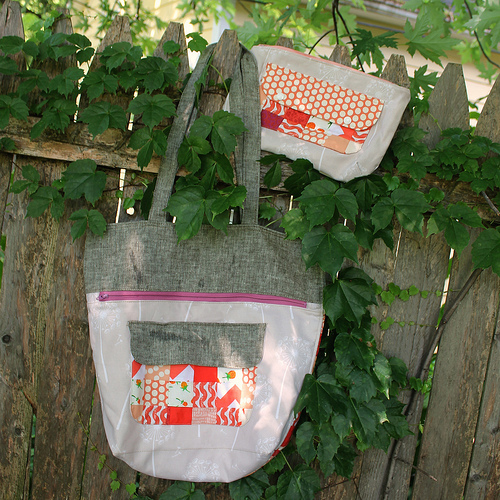 One side is patchwork and the other is linen with dandelion print with a patchwork pocket. With some embroidery in the corner. 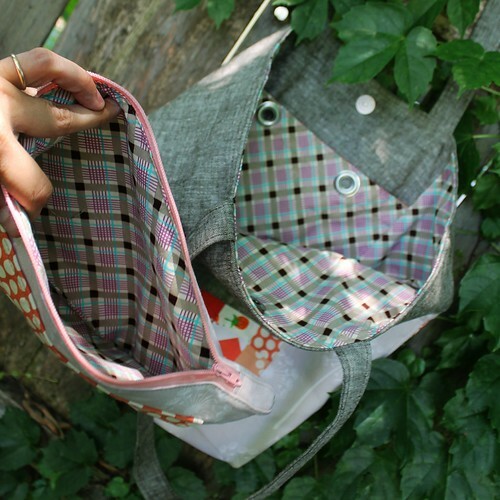 This pattern has a million pockets. It comes with the zippered pouch as well! I had a hard time choosing fabrics, as I was wondering were all these pockets and linings were going to end up! 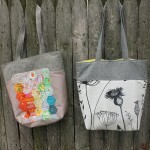 In general, I’m so impressed with the bag patterns I’ve made, and the Noodlehead patterns are great! If I had one suggestion, it would be a more thorough explanation with pictures of the placement of all the pieces in the final product. If that makes sense. 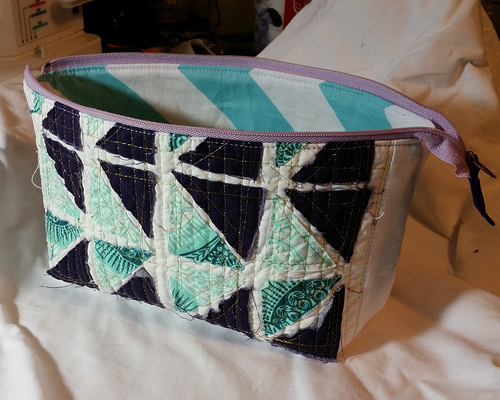 I think probably for bagmakers it would be really obvious, but as a quilter, 3-D Construction always gets my head twisted around. 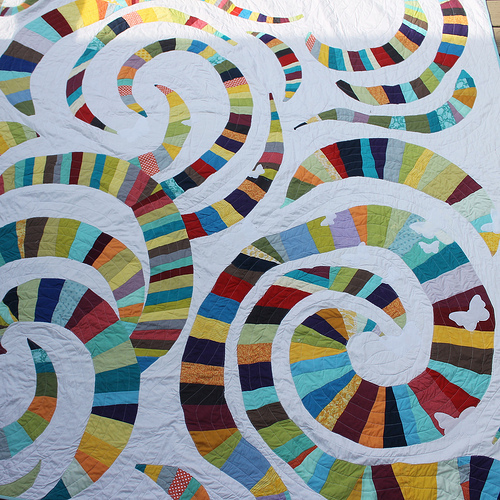 I used this DS Quilts/Denyse Schmidt fabric for most of the lining on both. 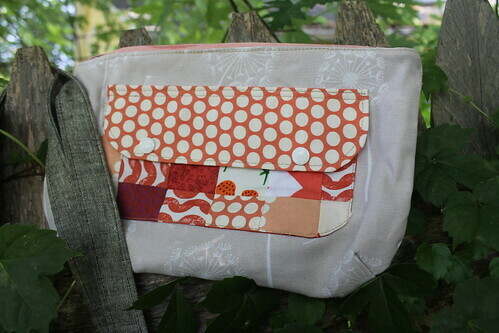 But some of the pockets are lined with other fabrics. Like I said, lots of pockets and linings and pocket linings happening. This bag is huge. 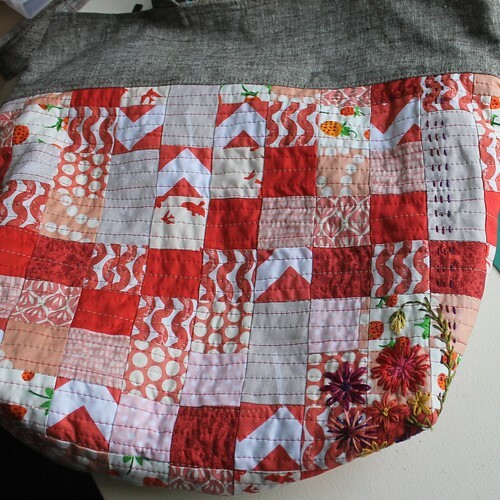 With all the pockets, it would make a great diaper bag and I have been thinking of making another one for that purpose. However, I will say, with all the pockets and layers, it’s a heavy bag! I think once it was loaded up with a days worth of baby stuff, the weight is going to be a significant add on. 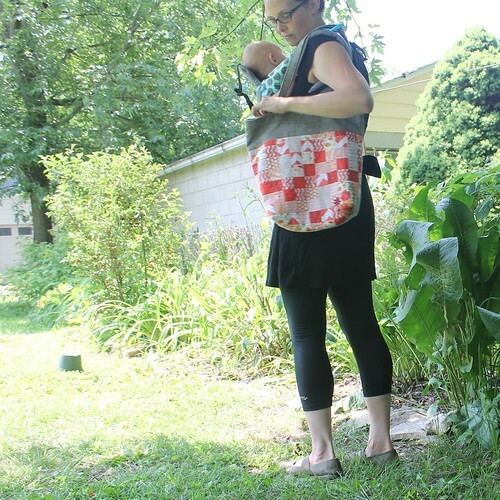 However, I’m getting bored of my current purse/diaper bag aka “The Telephone Bag” aka the Noodlehead Go Anywhere Bag. 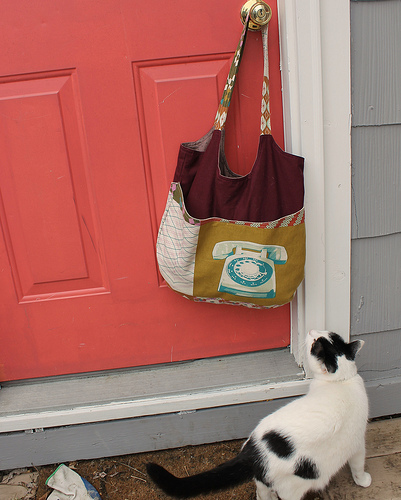 And speaking of huge bags – I got this amazing Poolside Tote in exchange! 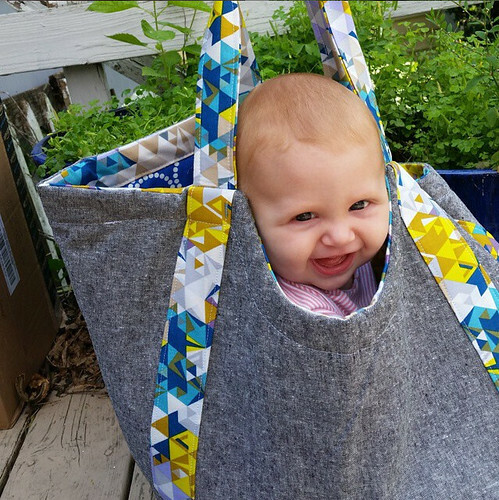 I love it – and the baby loves it too!